For anyone that had a chance to attend CES we were very proud to work with Monster Audio once again for the show. If you went by their booth you would have noticed this sleek black metallic monster up on display. Monster came to us just as they did last year when they offered us a chance to work on the Lamborghini Veneno by installing a ridiculous sounding audio system and just like then, they presented us with another audio related task along with lowering the vehicle using the factory air ride system. The install on this was crazy as it happened but when it was finished it looked like not a single finger touched the vehicle. 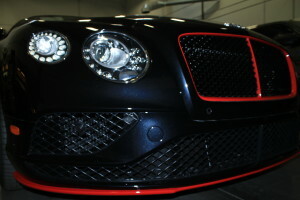 Everything was stealth and looked like it came as such from the Bentley Factory in Crewe, England. Each panel was taken apart delicately as to not impress the materials and put back in the same place it was. The stereo consisted of Illusion Audio, Hertz Audio, and Mosconi Audio components. For the highs we installed Illusion Audio C-4 tweeters which utilize a carbon membrane instead of the conventional poly-base membrane. 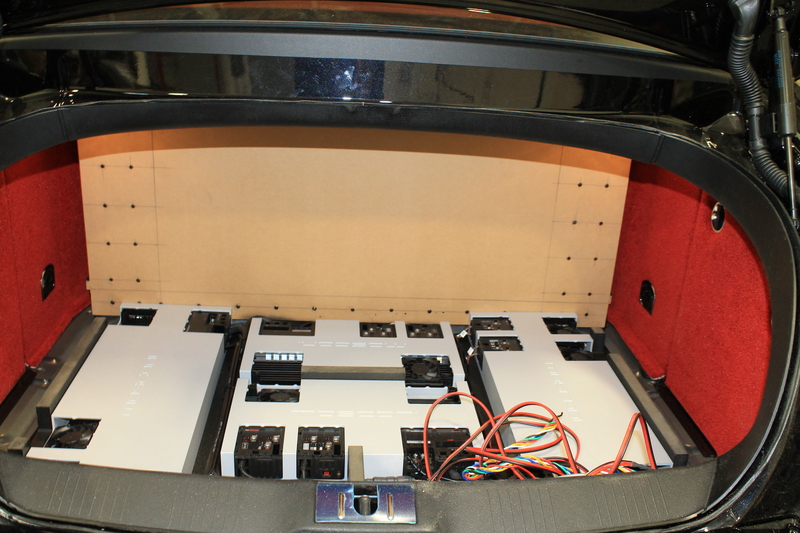 Hertz was used for our mid range speakers to give us clean sounds throughout the cabin of the vehicle. For the lows, and everyone loves the lows, we used Illusion Audio’s C-12 Sub-woofers which features the same carbon fiber membrane but in a 12 inch sub-woofer. For all of this audio equipment we needed power and a lot of it. Power supply’s and batteries were given to us by Stinger and for amplifiers we used 4 Mosconi Audio amplifiers. After the install was finished it needed final tuning. 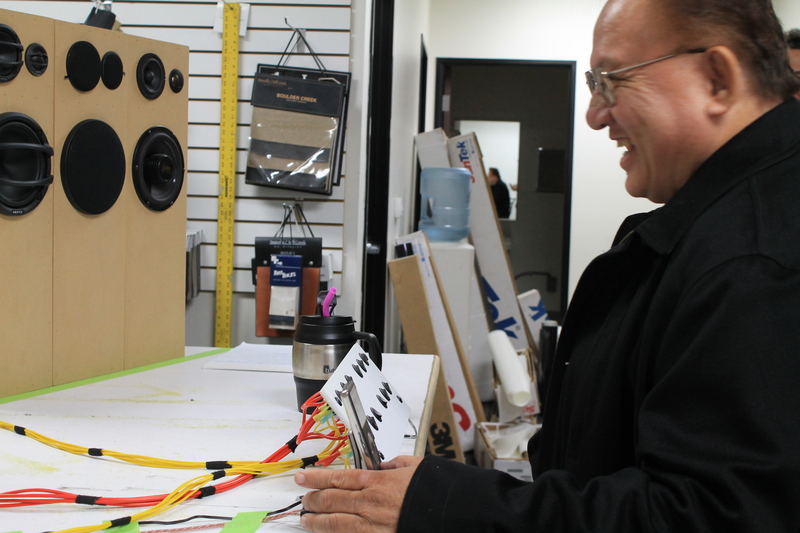 Who else better to tune an audio system than by The Head Monster himself, Noel Lee. It was an extreme pleasure working with Monster Audio again for this big trade show and we hope to do work with them throughout the future! Next Post Social Networks – Give us a follow!